By this point, iTunes housed (and sold) music, TV shows and movies. Users could enjoy this content on Macs, PC and iPods, but not their televisions. This product — dubbed the iTV at this point — was designed for “completing the package” of Apple’s digital content business. In Jobs' words, it was a box for getting iTunes content to a flat-screen TV. Pretty simple. The hardware was reminiscent of a pancaked Mac mini. In addition to wireless networking, it included USB and Ethernet ports, as well as support for HDMI, Component video, Optical audio, and Analog RCA stereo audio. This allowed it to be connected to just about anything on the market at the time. The IR remote was small and white, and would live on for numerous years as the Front Row remote for Macs before being replaced with a longer aluminum model. From there, they could drill down to what they wanted to watch with the remote. The UI showed metadata about content and allowed for scrubbing back and forth during playback. It was all pretty simple, by design. Beyond the hardware and UI, Apple didn't go into details about how content got onto the box, but did so at Macworld 2007. Here, Jobs shared more details about how the Apple TV actually worked. The player was capable of playing 720p video and included a 40 GB hard drive. That hard drive was key. 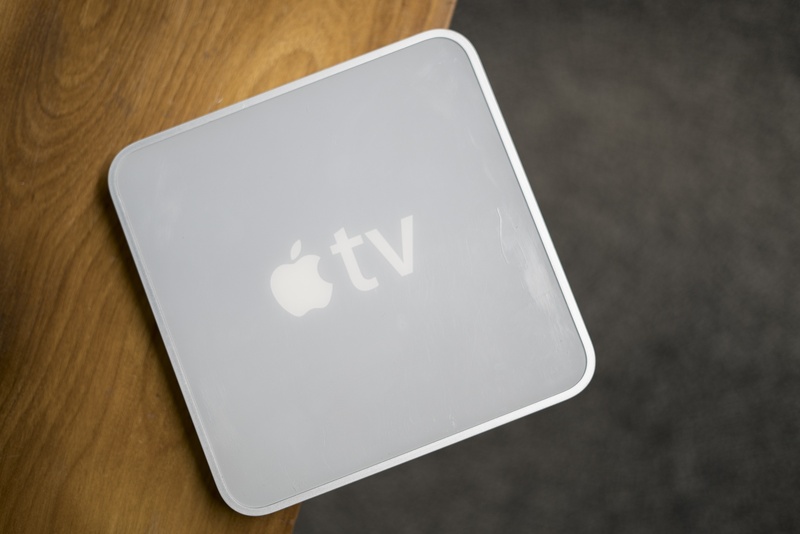 The Apple TV could sync content from one computer, or stream content from up to five. The Apple TV would appear in the sidebar of iTunes, much like an iPod. A user could set the device up to auto-sync content. For example, the most recent 10 unwatched movies or the latest season of a set TV show could be automatically sent to the hard drive on the Apple TV. Syncing this content meant that a user could simply pick up the remote, navigate to the desired content and hit play. Setting up streaming works similarly to syncing. On the Apple TV, choose Sources, and select Connect To New iTunes. A new PIN number will appear. On your computer, enter that number into iTunes by selecting the Apple TV in the iTunes Source list, and you’re connected. Choose that computer as the source within the Source screen on your TV, and you can access the video and audio content in its iTunes library. Note that it can take several minutes for a streamed computer’s content to appear if that computer’s iTunes library contains a lot of media files. For example, the iTunes library on my Mac Pro holds 217GB of data, and it took around three minutes for it to be accessible on the Apple TV over a wireless 802.11n network. The original Apple TV cost $299 and went on sale in February 2007. A 160 GB model was added to the lineup for $399 in the fall of that year. Once people got the Apple TV in their hands, some nerdier users quickly realized that the Apple TV was running Mac OS X Tiger under the hood, powered by a 1 GHz Intel Pentium M CPU and 256 MB RAM. These internals made the device quite warm to the touch when running, something later Apple TVs avoided. 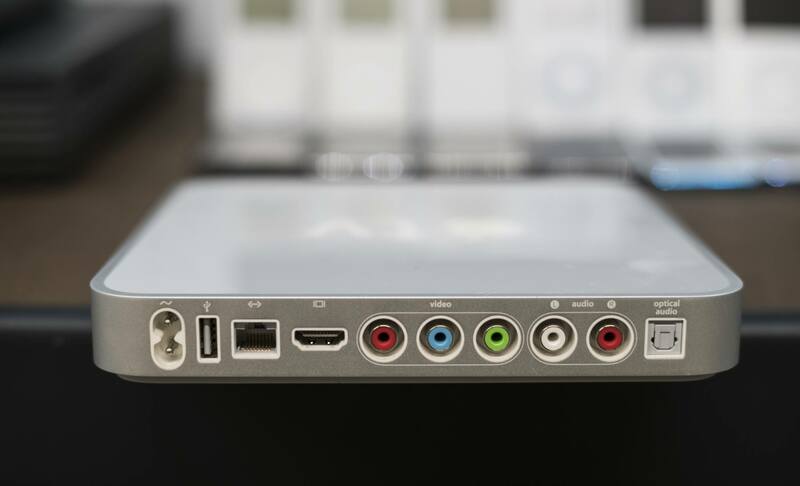 Before long, people worked out how to get the Apple TV to boot fully into OS X. There were even directions on how to do it yourself. Hacking the Apple TV went beyond that, as pointed out by David Murray on YouTube. Users got third-party operating systems to run via a USB jump drive. 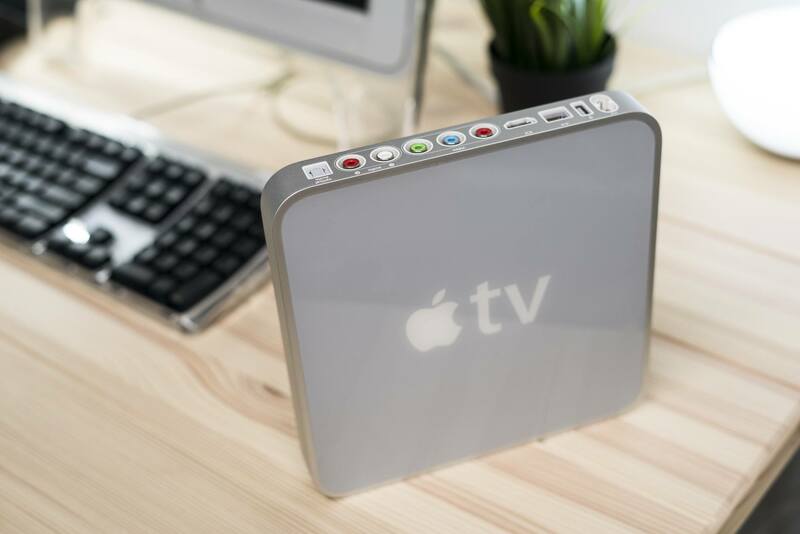 Open-source options like OpenELEC could extend the usability of the Apple TV, but couldn't add services like Netflix or Hulu to the 2007 Apple TV. 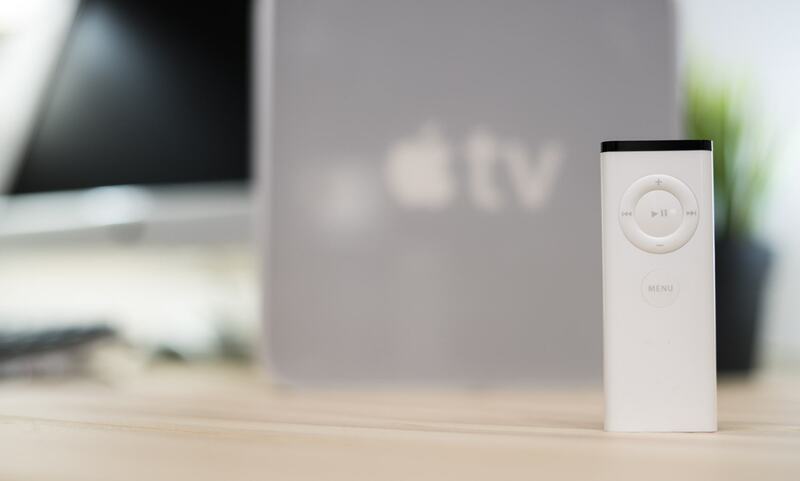 A year after the Apple TV went on sale, Apple released a software update named "Take 2." 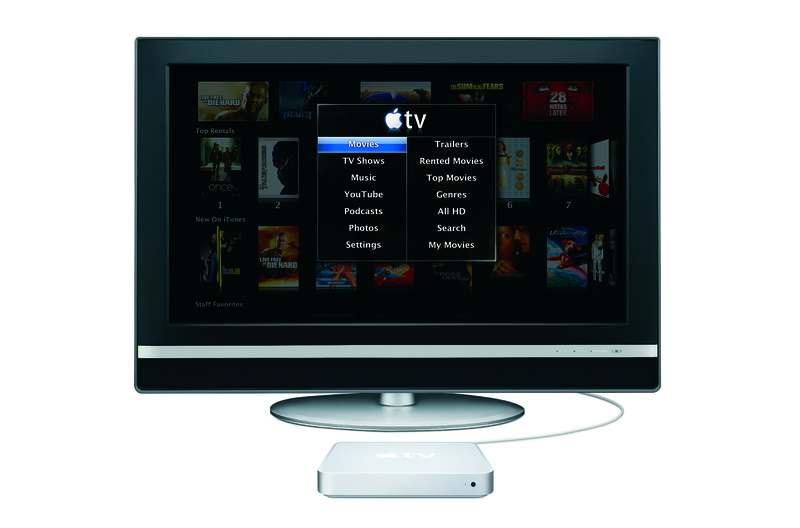 At Macworld 2008, Jobs admitted that the Apple TV hadn't hit the mark. All of this was accessible via a new user interface with a more compact menu system that used movie posters and album artwork as navigation, as we are used to now. To help promote the device's newfound direction, Apple cut the price of the Apple TV to $229 for 40 GB and $329 for 160 GB. The original Apple TV started life as a bridge for TV shows and movies to get from the world of iTunes to the television. Apple iterated on its original idea, leaning more into rentals and streaming. 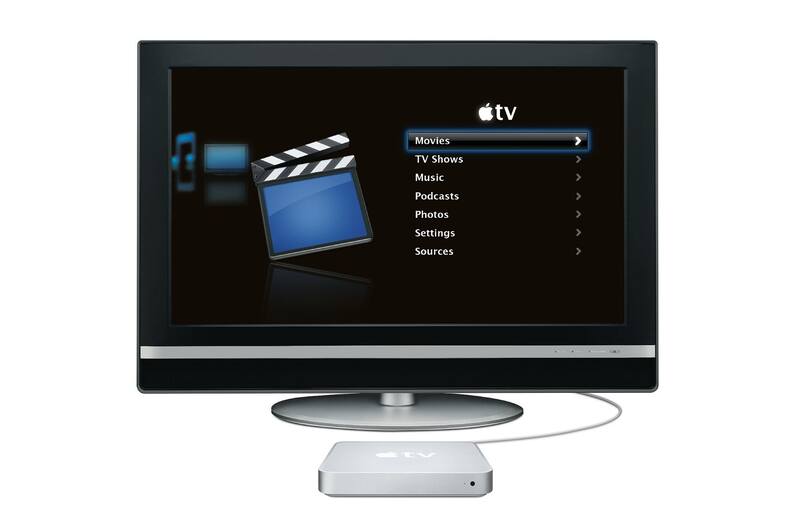 In September 2010, Apple released the second-generation Apple TV. It ushered in the current industrial design, as well as a more streaming-centered operating system, as it lacked an internal hard drive for syncing media. Today, of course, we live in an all-streaming world. Apple knew that is were things were going, and designed the original Apple TV to help get us there.